You are ready to go back to school and so you go to apply for a student loan with the best rate. Someone already took out money in your name and now you, the real you cannot take out any more money for school. Education is expensive enough when you take out loans on your own! And now you have to deal with a mess somebody made when you were not looking? Unfortunately, student loan identity theft is a real problem that happens and continues to happen. It's hard to prevent because so much personal information about you is already "out there". 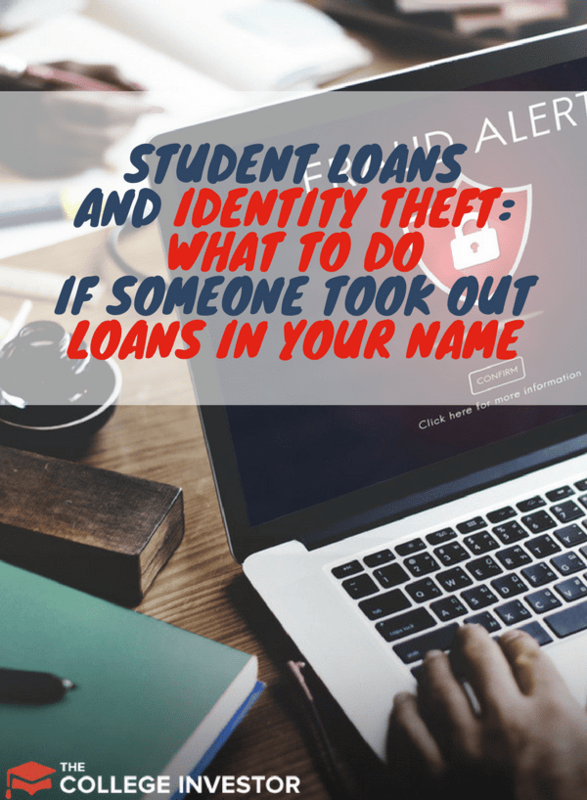 In today’s post, we will go over how you can prevent this from happening in the first place and what you can do if you find out someone took out student loans in your name. It is never too early and you can never be too cautious when it comes to protecting your identity from thieves. If you tend to use computers in public spaces such as a library, make sure to sign out of all your accounts - e-mail, social media etc. Another option is to use a VPN to protect your connection. Check out NordVPN and secure your computer and phone. On public computers, clear your browsing history after you are done to get rid of all cookies and auto-fill mechanisms that might have stored your sensitive information. When you apply for federal student loans, avoid “services” that promise to help you fill out the forms to “save you time”. There is also a rise in the number of scammy telemarketers who will call you asking you to confirm your identity so they can release a scholarship or grant to you. Don’t fall for it ! In fact, you can call the FTC to report these scams at 1-877-FTC-HELP. Apply for loans yourself through the FAFSA.gov website. Never give your FAFSA pin to anyone. This is a big red flag we talk about here. Make sure that if you need to get rid of any documents which have identifying information on them such as your social security number and your home address, you shred those documents prior to discarding them. Be careful when you sign onto free wifi networks to not navigate to websites where your information can easily be stolen by hackers on the network. Always report your stolen or lost credit cards and identification cards to the police immediately. Report credit card loss or theft to your bank so they can freeze the use of the card. Check your credit report regularly and immediately report any anomalies to credit reporting agencies. Taking these steps to keep your personal information safe is the best move when it comes to protecting your identity from malicious people. What To Do If Your Identity Has Already Been Used To Take Out Student Loans? Life happens and sometimes these malicious people do in fact end up stealing other people’s identities and pulling stunts like taking out student loans. Why would somebody take out student loans if it isn’t in their name? Who wants to get a degree that is not in their name? The truth is, while federal loans are disbursed to student to use for educational expenses, these identity thieves can in fact take the money and use it for other purposes. Here’s an outline of the steps you need to take immediately you find out someone took out student loans in your name. Report the matter immediately by contacting both the U.S Department of Education Office of Inspector General Hotline (1-800-647-8733 - if the loan was a federal one) and fill out the FTC’s IdentityTheft.gov report. You will also have to call the lender’s fraud department to notify them that you have been a victim of identity theft. Ask them to close or freeze the accounts immediately. Get in touch with the school where the thief used to take out the loan and ask them to close the loan account and provide you with a letter stating that they have done so as soon as possible. Call all three credit reporting agencies and request a free 90-day fraud alert. 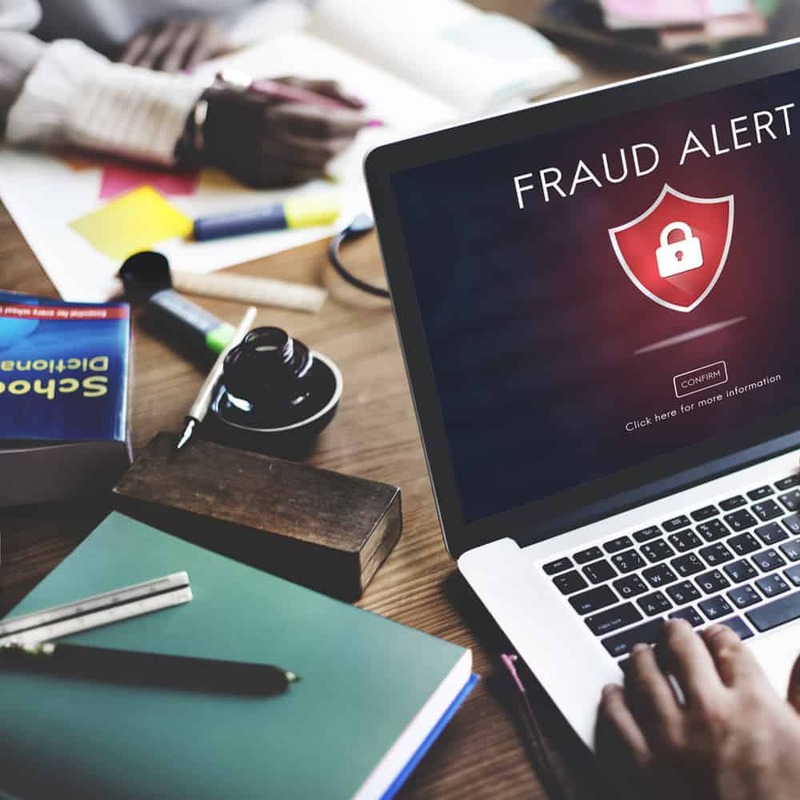 Fraud alerts make it difficult for the identity thief to open up new accounts because in this case, the thief will be required to provide extra forms of proof of identity before new credit is issued. Once you have taken all the above steps, you may choose to report the matter to your local police department as well. Note:​ The IdentityTheft.gov website has an excellent system that will create a personalized recovery plan based on the report you give them. They also have a team you can chat with online Monday through Friday 9am-8pm EST. If you plan on taking out student loans yourself for school, these steps will help you get started with the recovery process so you can do so. However, we do realize that it could be a long journey of trying to clear your name and getting your credit straightened out. Although grueling, I will encourage you to stay the course until it is all cleared up so you are not paying for someone else’s mistake for the rest of your life. Being a victim of any type of identity theft is nothing to ever wish on anyone. Student loan debt that was not incurred by you can be a stickier situation and have a long-lasting effect on your credit if you don’t act immediately. You are moving in the right direction if you take the steps outlined above - immediately. Have you been a victim of Student Loan Identity Theft? What did you do to clear things up? Yep happened to me today. My employer justness told me I’m getting my paycheck garnished because I took out a 10,000 dollar student loan. My mind was blown. I never even finished high school so I don’t even qualify to get a student loan until I receive a GED. The best part is it’s not on my credit report. So I’m lost at what’s happening here. I don’t even know where to begin? You need to talk to your employer because you are supposed to get a notice and at least 30 days to object. Check your credit report – it should be there if there is a loan in your name and SSN. You can also go to https://www.myeddebt.com and see if you can find any information about this debt. I’m also confused as what to do because someone has took my information and went to Ivy Tech online courses and received fafsa loans in my name back in 2014, and I just found out about it in late 2016 I froze my credit, got a police report, and thought I was on the right track. I spoke to a rep at the police station and she was not helpful at all, she told me that Indiana did not have a cyber crimes unit and its unlikely that the person would be caught. I later found out that the person not only did school loans but had a car that was taken away in my name and evicted from an apartment in my name as well. Now I’m stuck and have no idea what to do as far as being able to get a home in my name or even a car and proving that it wasn’t me who did those things. I would really love some information as to how I can get my credit back on track, so I can live a normal life and able to move forward with my life please any information would help thank you. You take that police report, and go line by line with your credit report and send in dispute letters (and copies of your police report) to each and every issue that is a result of your identity theft. For your student loans specifically, follow the steps above. It’s not easy. It’s a lot of paperwork, time, and effort. You’ll probably spend a good 40 hours per month for the next 6 months getting this addressed.